A mild night before a change saw the moth light shining at home. 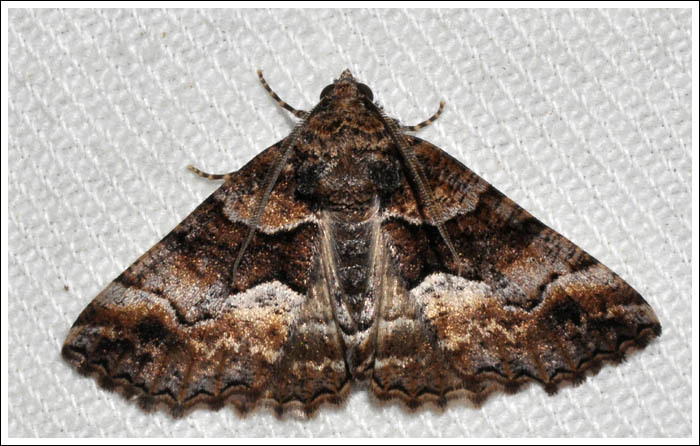 Although it is still officially winter, signs of spring are already apparent, and moths should soon be about in increasing numbers. 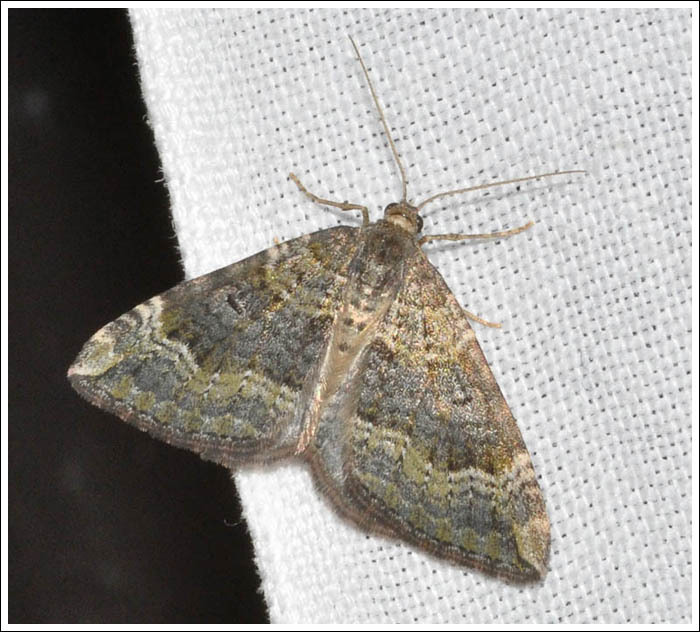 On this occasion only a dozen came in, mainly Geometrids of the warmer months getting an early start, the first being the common Crypsiphona ocultaria, (Geometrinae) This moth flies for much of the year, and the larvae feed on eucalypt foliage. 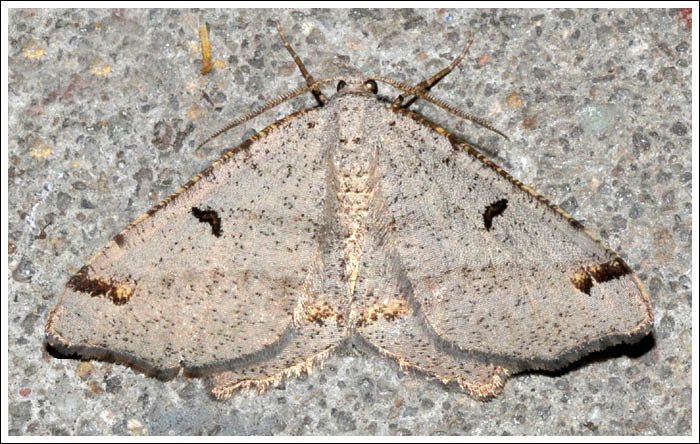 The under-wing markings give this moth its common name. 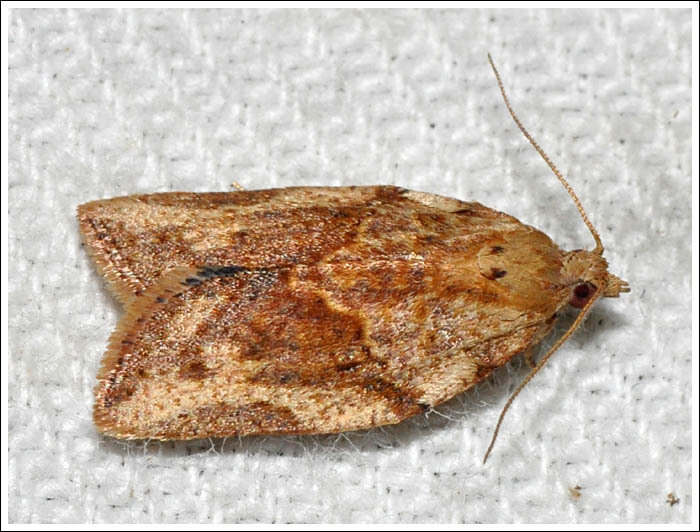 The second in was also very familiar, Melanodes anthracitaria, (Nacophorini). 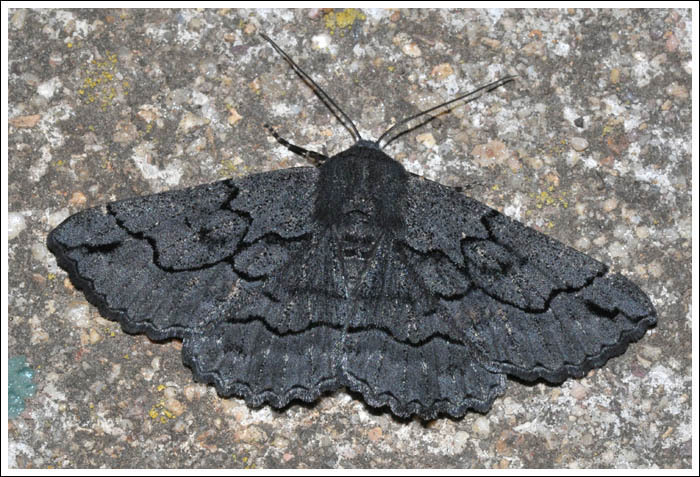 This plain black individual preferred to settle on the concrete, there are also white-patched forms. 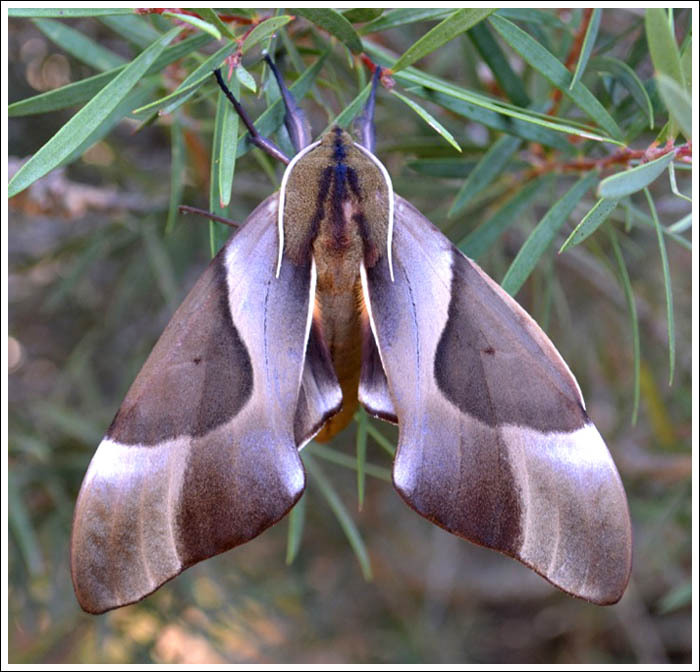 Again, the larvae are eucalypt feeders, and both the generic and specific names are clues to the common name. Three Gastrina cristaria, (Nacophorini) came in, all males. 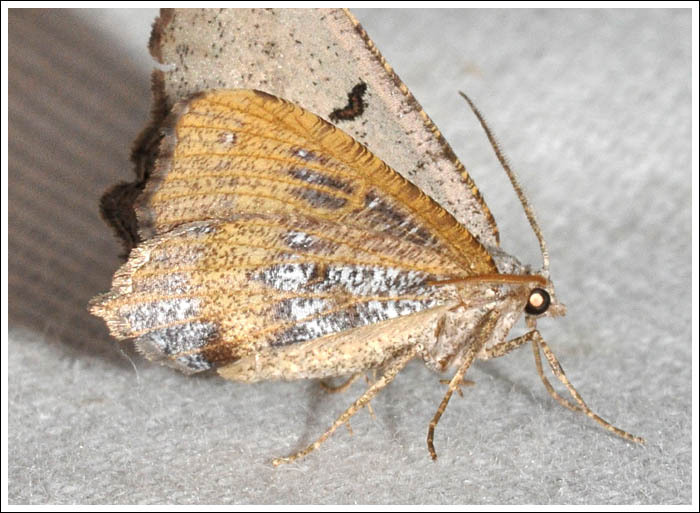 The kink in the outer forewing line gives the common name. 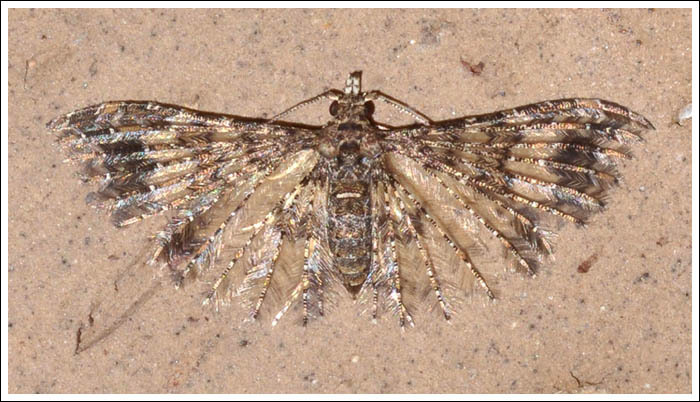 Dissomorphia australiaria, (Macariini), sometimes settles with its wings folded. 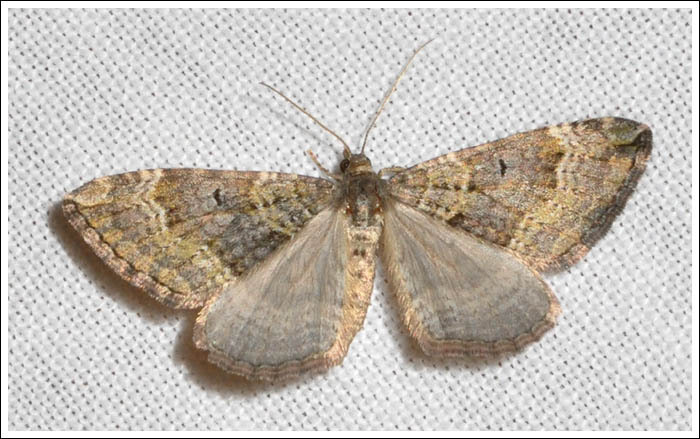 The upper wing markings can be quite variable, larvae feed on wattles. Two small Tortricids to conclude, hopefully the id’s are correct. Moths of Victoria Volumes 4, 5, 7. Posted on August 18, 2018 August 18, 2018 by PholodesPosted in Moths. 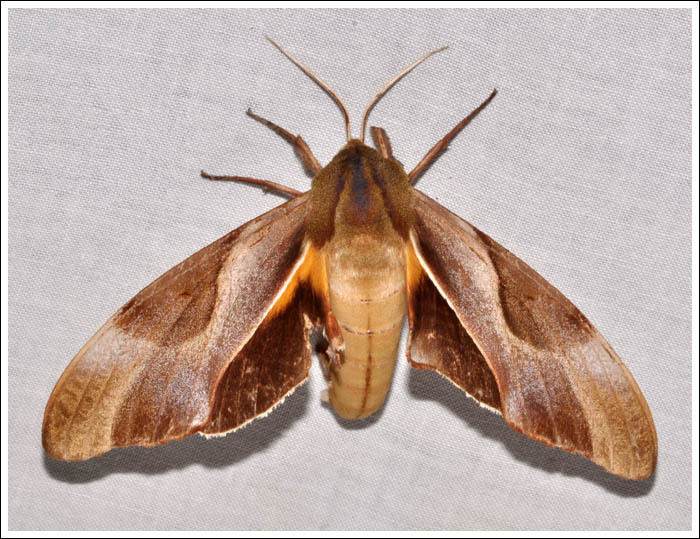 The Triangular Hawk Moth, Coequosa triangularis is one of our most spectacular large moths, and is more likely to be encountered in the far east of the state. The larvae feed on Coastal and Sawtooth Banksias, and in February 2012 one came in at Holey Plains State Park where the latter is abundant. This individual with an unusual and beautiful colour variation was photographed a few years later by a family member at Marlo. 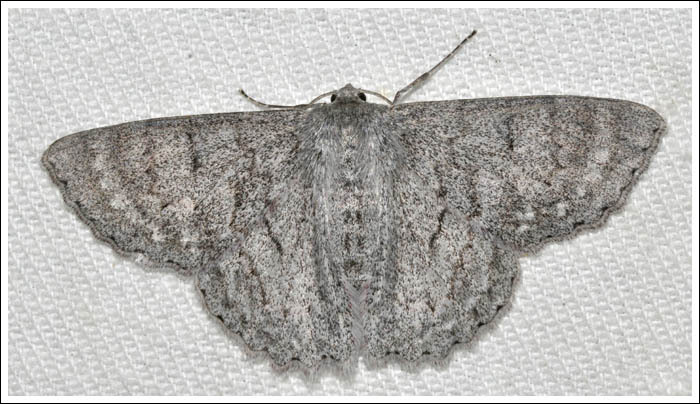 Sexes of this moth are similar. 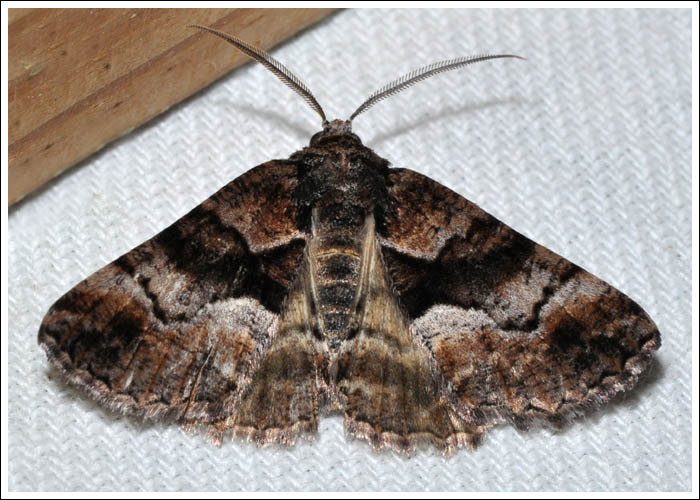 Staying with large moths, MOV 4 notes of Oenochroma vetustaria “Though widespread, this large species of the Victorian forests is rarely seen.” While mothing in the tall forest below Mount Moornapa in November 2014, a female came in and was luckily discovered settled on the leaf litter. 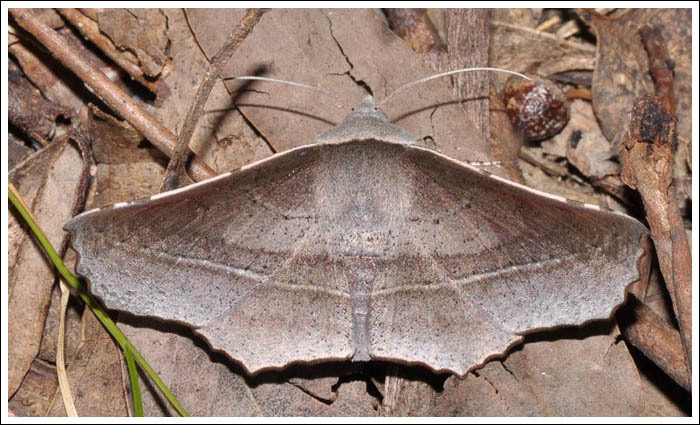 The Suffused Tuft-moth, Aquita plagiochyta is another moth of the Eucalypt woodlands, records have been relatively few although it is probably widespread in Gippsland. (MOV 2) It has come to the light at several locations, eg. Holey Plains, and this one at Bull Creek in the Mitchel River NP in March 2014. 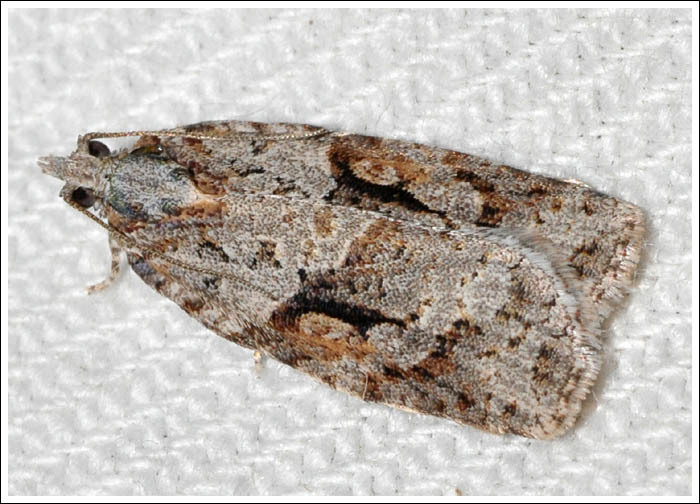 The Tiny Tussock Moth, Oligeria hemicalla is another species that is not often seen. This is a male from Swallow Lagoon NCR at Munro, November 2011. The females are flightless. 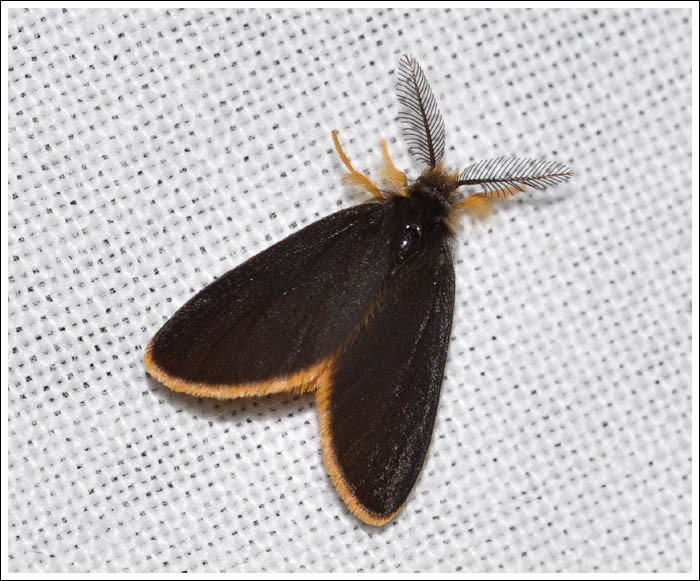 The Banded Epyaxa, Epyaxa hyperthyra has only come to the light on one occasion, September 2011, when two females came in at home. 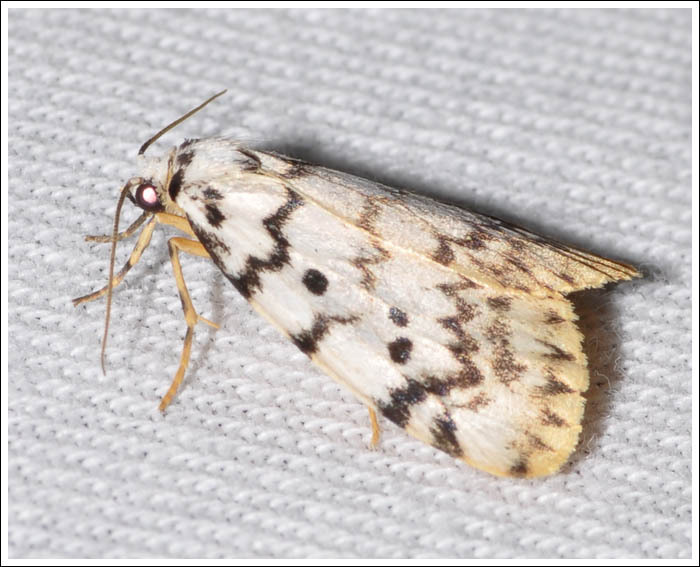 A Footman with a small number of Victorian records is the Five-banded Footman, Hectobrocha pentacyma. In January 2013 this record was made in foothill forest at Valencia Creek. 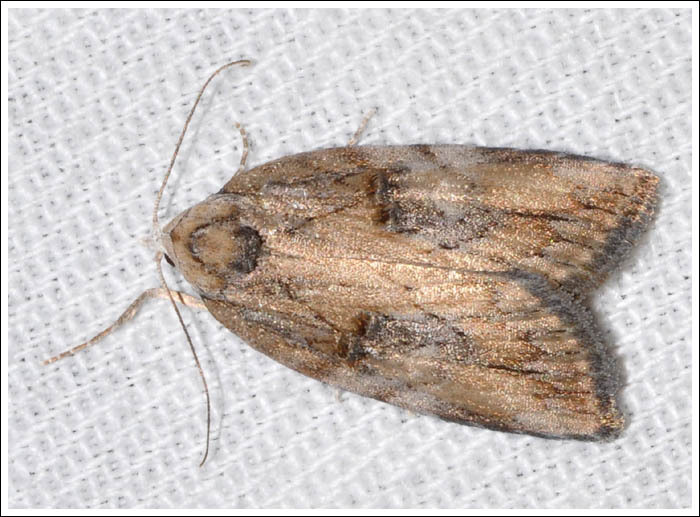 And to conclude this series, a Many-plumed Moth, Alucita phricodes. The larvae feed on Pandorea pandorana, or Wonga Vine, one of which was growing in the home garden a few metres from where this one came to the light in November 2011. Victorian records are not to hand at this time. That concludes this series on some of the interesting and unusual records made over the last decade. With the weather warming, outings and new posts should begin again soon. References, Moths of Victoria Volumes 1, 2, 3, 4. Posted on August 10, 2018 August 12, 2018 by PholodesPosted in Moths.